At Grid Connect we are experts in all things serial. We are committed to providing the best serial products. Our wide selection includes devices from USB to Serial and more. Grid Connect has USB to Serial Adapter for you. We offer RS232 to USB, RS422 to USB, and RS485 to USB solutions. If you have tried a low cost USB to Serial Adapter and had issues in the past, check out our USB232. It features an advanced EXAR chipset which works in many scenarios where lower cost adapters fail. Grid Connect has a huge selection of best in class Serial to Ethernet Adapters. 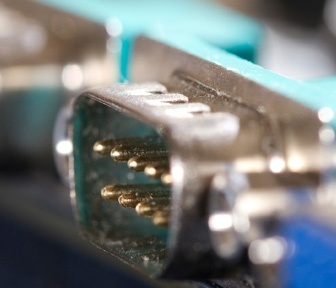 Whether you have a serial port that is external or embedded, RS232, RS422, or RS485, 9 Pins, 25 Pins, or a Terminal Block, we have the way for you to get your Serial to Ethernet. Don’t see exactly what you need? Contact us about our Custom Serial to Ethernet Hardware Solutions. Need to convert RS232 to RS485 or RS422? We have the device for you! Grid Connect offers a wide selection of RS485 and RS422 converters and adapters. Serial Communications are no longer limited to cable runs and distance issues with our Wireless Serial Adapters. Grid Connect offers Bluetooth, WiFi/802.11b/g, 900MHz, and other wireless serial connectivity options. Our expert serial engineers know what it takes to work with serial devices. So we have put together a great selection of serial converters, adapters, null modems and other serial products. For more information and to view all USB and Serial products designed to fit your needs, click here or call the Grid Connect office at +1 (630) 245-1445.